Want a sneak peek at what dining on Hilton Head Island is all about? Feast on fresh seafood dockside at a casual restaurant or dine by candlelight at one of Hilton Head Island’s elegant establishments. Indulge in local Lowcountry favorites like oysters, gumbo, fried okra, and peach cobbler, or share a bucket of fresh, steamed peel-and-eat shrimp on the beach as the sun sets. With more than 250 restaurants on Hilton Head Island, plus bakeries, farmers’ markets, and gourmet shops, there’s something delicious to satisfy every palate. Dinner is served! Discover Lowcountry Cuisine. Check out this video from the 2016 Hilton Head Island Wine and Food Festival for a "taste" of Lowcountry food and drink. What happens when you combine the freshest seafood with a little Lowcountry flair? The recipe for an unforgettable dining experience. 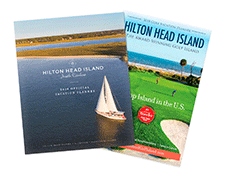 Discover these Island favorites and discover and unforgettable Hilton Head Island dining experience. Decadent holiday feasts, food and wine festivals, farmers’ markets showcasing the best local dishes: there’s always something delicious on the menu on Hilton Head Island. Our culinary events and festivals are sure to delight the most discerning tastes. From seafood to steaks, BBQ to burgers and brews, the SERG Restaurant Group's 12 locations on Hilton Head Island are sure to delight any member of the family. Enjoy waterfront sunsets at Skull Creek Boathouse or grab front row spot at The Rooftop at Poseidon; day or night, find your entertainment fix at a SERG Group location.